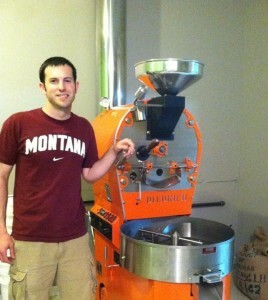 Welcome to SilverCup Coffee Roasters in the Silver Valley of North Idaho! Our roastery operates on a roast when ordered basis to provide you with the freshest coffee, but we also stock a full selection of each of our roasts in our retail shop (same location) and at our local Yokes grocery store located in Kellogg. We are committed to roasting coffee that makes a difference! What does that mean? Well, we feel that every bean tells a story, and that story should be known. From the farmers who cultivate the crop to how it ended up in your mug, we want that journey to be told, and more importantly we want you to know that by supporting direct relationship coffee you helped make a difference. By buying coffee though direct relationships we are able to help families and farms in our source countries succeed by offering them a good wage for their product. Many programs also offer advice and crop management instruction to help these farmers produce better beans which means we get a world class coffee to share with you! Learn more here. You can find these direct relationship coffee’s in our store with Direct Relationship designations. Unfortunately not all of our coffee can have this designation, other beans are chosen for specific reasons which are noted in our descriptions on our Coffee page. We also strive to support our local community by offering you a rotating community roast. A portion of the proceeds from sales of this roast will be given to a local charity each month. We hope you enjoy our coffee!